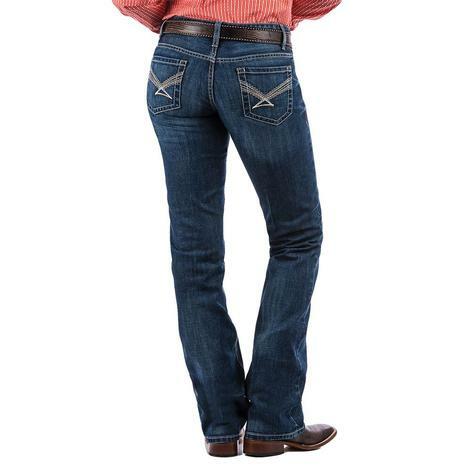 This women's jean by Wrangler features traditional five-pocket styling, embroidered hip pockets and a bootcut leg opening for a classic look. 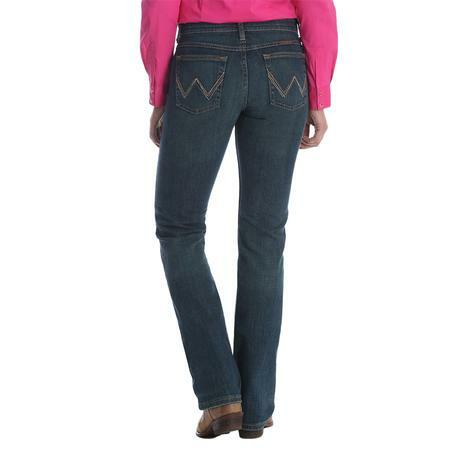 The contour waist sits above the hip and there's some stretch in the denim for a long lasting comfortable fit that you'll love. 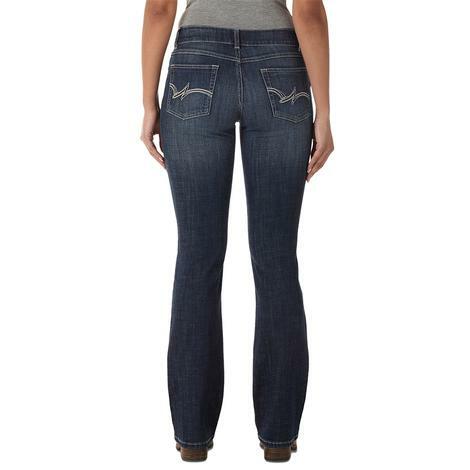 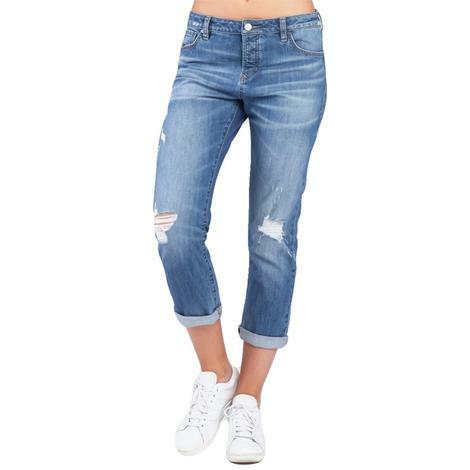 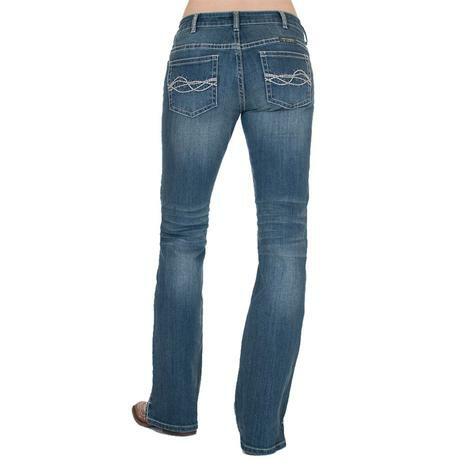 Dear John Denim's Madison Girlfriend Capri Jean in Moonstone Blue is an easy, breezy cut capri for casual or serious wear. 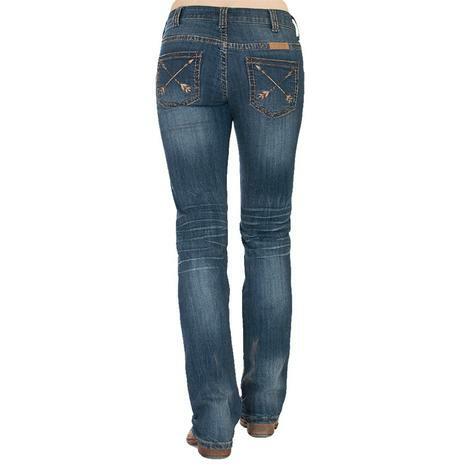 Each pair are individually distressed Moonstone blue denim one of a kind sanding and frayed edging. 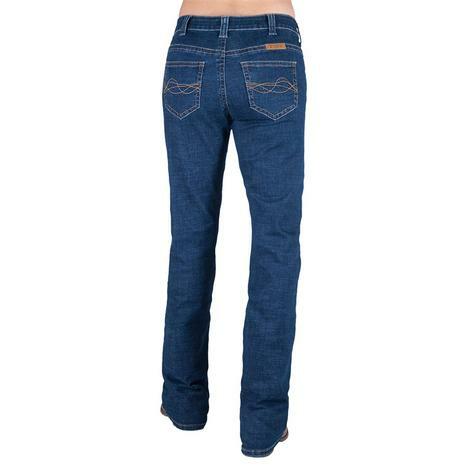 Edges can be cuffed or worn freely down. 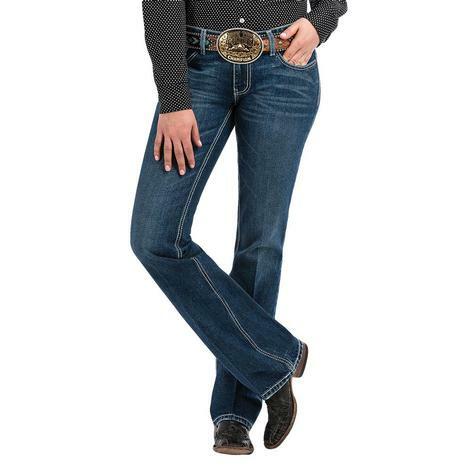 Goes well with tee shirts, button downs, pullovers, cool weather or warm. 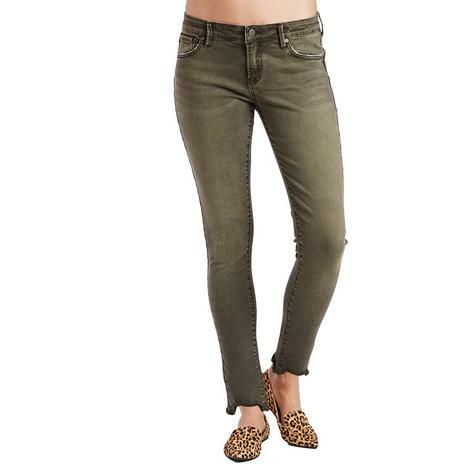 Great versatile capri pant. 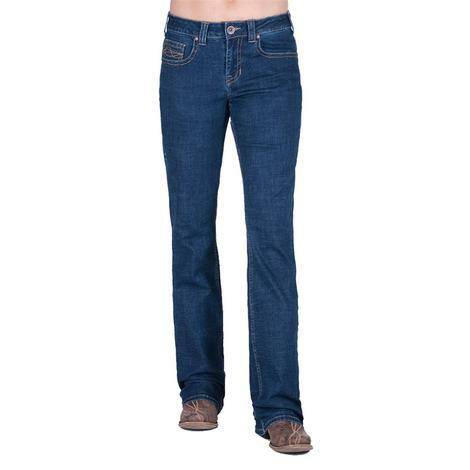 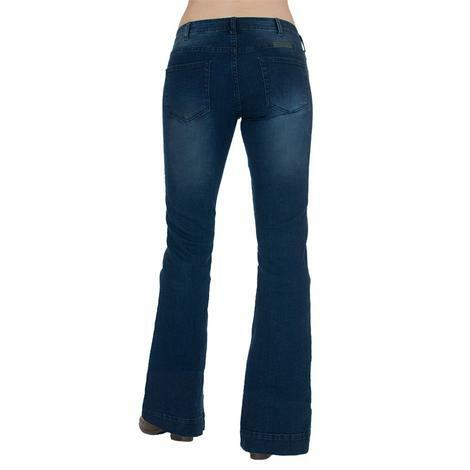 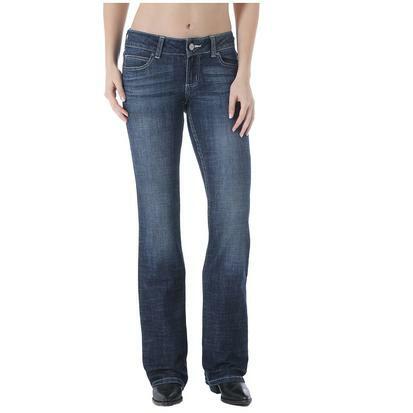 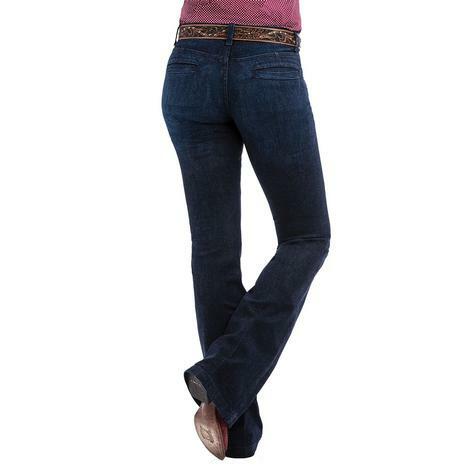 This slim fit flare trouser jean features a 21" bottom leg opening, moderate rise and sturdy 11 oz. 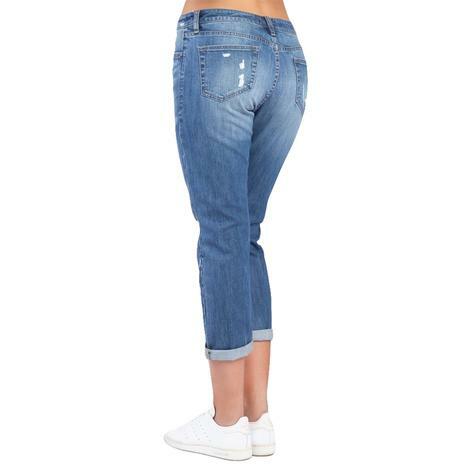 stretch denim. 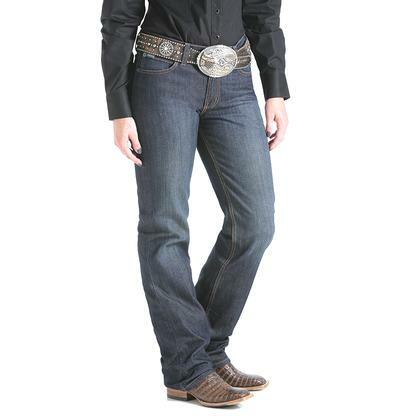 Comes in a dark wash that looks good with any shirt or pair of boots that you decide to slip on.